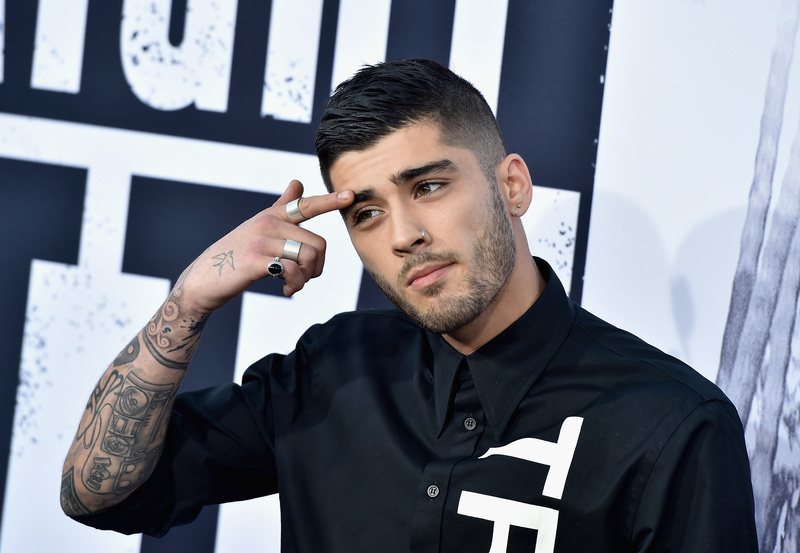 I'm sure there are plenty of women who wished Zayn Malik a happy birthday on Tuesday, but there’s one super fan who outdid the rest of us. Gigi Hadid posted a picture of monogrammed bling to Instagram, and now everyone’s wondering where to shop a “Z” necklace just like Malik’s. On top of the incredible jewelry, Hadid dubbed the day “ZDAY” in honor of her alleged boyfriend’s day of birth. So, now, more than ever before, a letter with his initial is going to come in handy. I mean, “ZDAY” may not be an official holiday, but it practically should be. And don’t you want to be able to rep it in style this time next year? You bet! The necklace Hadid posted could be around Malik’s neck or her own (it's really hard to tell in this cryptic photo), but either way, those bling and diamonds are most likely real. But, you can easily shop similar necklaces for cheaper to celebrate the former 1Der's birthday, you know, on a budget. When it comes to jewelry, tattoos and clothing — Hadid and Malik know a thing or two about style. While they haven’t officially confirmed if they’re dating or not, they’re still the most fashionable pair around. So, shop jewelry that this *possible* couple would approve of as well as seeing some of their most stylish moments together. What better way to celebrate ZDAY? This circular, monogrammed necklace is similar to the one Hadid posted to IG, and is definitely ZDAY worthy. If you're looking for something simplistic to quietly rep your love for Malik, go with this option. They know just how to do the whole comfy-chic look, don't they? From their blonde hair to their outfits, they've got this matching thing down pat. Dressing for the cold is a cinch for these two. Malik's got some pretty cool tattoos. But, Hadid's no stranger to beautiful body art, herself. They're pretty darn chic in their all-black attire. They can even pull off headgear together. And if that's not love, then I don't know what is.